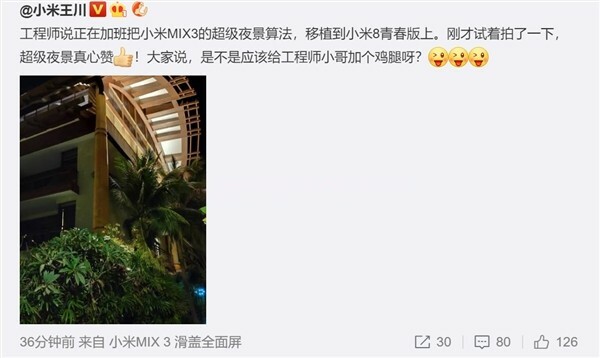 On the evening of February 5, Xiaomi co-founder Wang Chuan said that the Xiaomi Mi 8 Lite will also use the super night scene sharing the Xiaomi Mi MIX 3 algorithm. It is reported that Super Night Scene has a number of mobile phone support from many manufacturers. Xiaomi defines it as that when the shutter is pressed, the camera will simultaneously take 8 photos with different exposure schemes and select key features for comparison. screen alignment, compensation correction jitter, etc., and finally a beautiful picture. 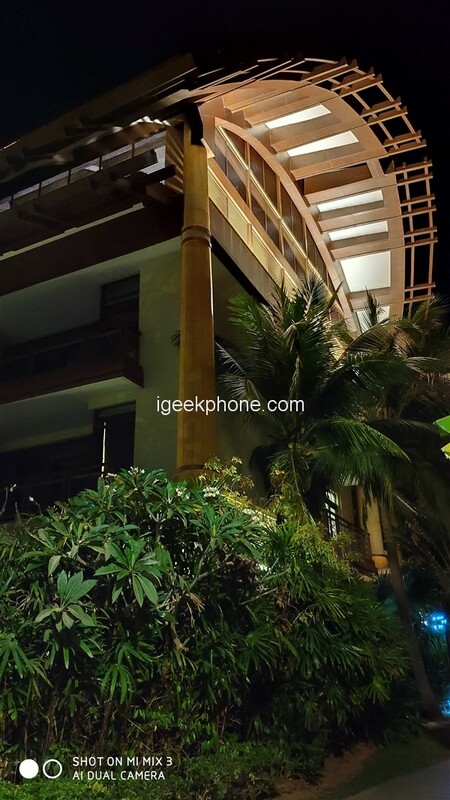 At present, the Xiaomi family’s Xiaomi Mi 8 series, Xiaomi Mi MIX 3, Xiaomi Mi MIX 2S, and Redmi Note 7 have already supported the super night scene mode. At the end of February, Xiaomi Mi 8 SE will also be launched. In addition, Xiaomi Mi 8 SE is carrying out the Spring Festival promotion, the starting price of 4+64GB is 1299 yuan, and the 6+64GB is 1499 yuan ($222.26). 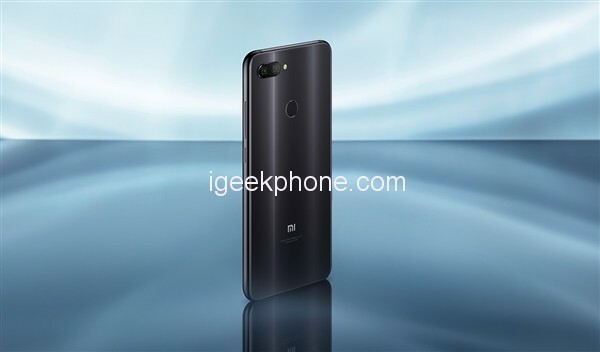 Data shows that Xiaomi Mi 8 Lite uses 6.26-inch small bangs full screen, Snapdragon 660 AIE processor, front 24Mp Sony IMX576, rear 12 Megapixels Sony IMX363+ Samsung 5MP dual camera, 3350mAh battery, USB-C interface.